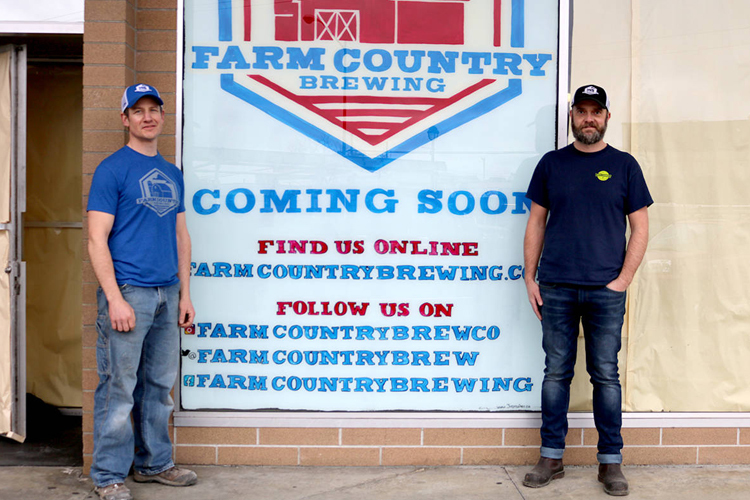 Originally posted on Jan. 18, 2019 12:00 a.m.
Farm Country Brewing is currently under construction and is planned to open in summer 2019. Downtown Langley City is getting a new watering hole this summer, with the opening of a brewery on 56th Ave.
Farm Country Brewing–the first craft brewery in Langley City– is currently under construction at its 20555 56th Ave. location, and is expected to open in the summer, according to owner and founder Arnold Tobler. Tobler, who grew up in Langley and now resides in Cloverdale, has never been a businessman before–he currently works as an electrician–but his love for beer is what sparked the new venture.